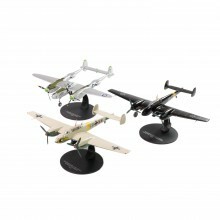 Detailed models reproducing the fighter planes of legendary World War II aviation aces. 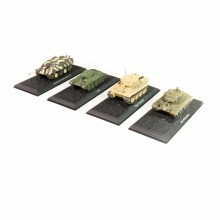 The most famous tanks of the Second World War in a collection of nineteen 1:72 scale models. 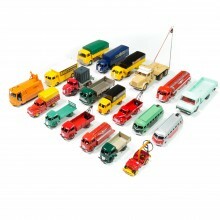 Made of metal and complete in every detail, they are exact reproductions of the actual vehicles, with the same colours and the same insignia as the originals. 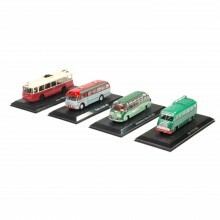 Each model comes complete with a base, a transparent plastic case and can be stored in a box featuring an exclusive design. A series dedicated to collectors, with a limited number of pieces available.